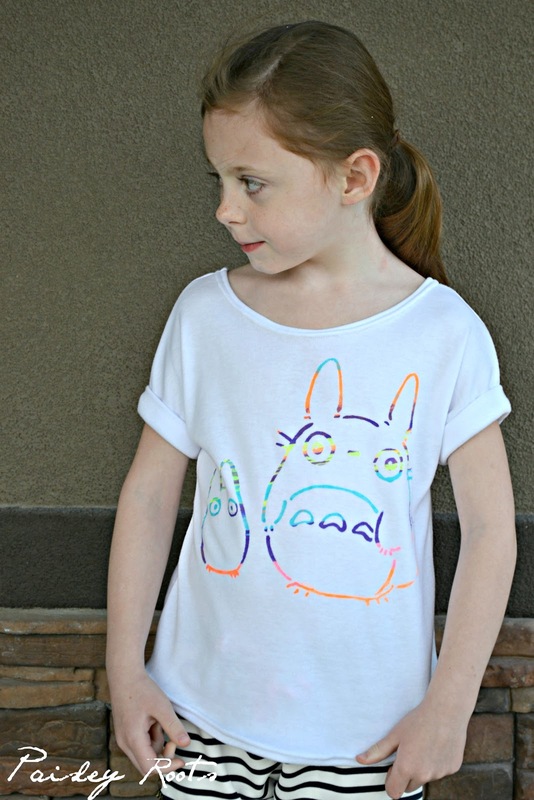 When I asked Zoe what kind of shirt she wanted she said, "Totoro!". So we looked online for different pictures. This is the one she chose! I asked her what color she wanted her Totoro and she replied, "RAINBOW!" So, there you have it! Her Rainbow Totoro shirt! I used the Skipper Top from Sew Much Ado which is amazing and is on sale for $5 for Kids Clothes Week. I love the fit of this shirt and we will be making quite a few for summer. I still have much more to sew and hopefully can get to it tonight! I've been loving seeing all the awesome things showing up at KCW!